People are addicted to the Internet and computer games, the young in particular. Many young people is isolated in a small island of their own, they refuse to go out or make friends in reality, which is an abnormal situation for a society since humans need to communicate with each other. To change this situation, the young should be involved in the crowds rather than staying on their own. Fosjoas V2 self-balancing two wheel electric scooter can be the transport as well as the tool for entertainment, the young can exercise and gather together to make new friends. The electric scooter club will be the new and popular meeting place for the young. 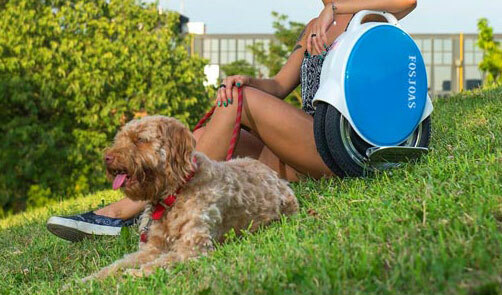 Fosjoas V2 is the two-wheeled electric scooter which is a new way to travel around. Riders just need to change their posture and gesture to start, stop Fosjoas V2, which is easy to learn. Equipped with exported lithium battery and upgraded motor, Fosjoas V2 can travel fast, steadily without any pollution or emission. The lithium battery also enables Fosjoas V2 to travel a long distance powerfully. The young do not need to worry that the battery will be out of power when they gather in the club with their friends. Riding the self-balancing electric scooter on the way quietly, then come to the destination-the club with many people of similar age and hobbies, how amazing the experience is. The young can chat with each other while riding Fosjoas V2 to exercise and relax at the same time. Besides, the young can also share other hobbies to be better friends. Fosjoas V2 can also be the transport for the young to travel on the way to company or home since it can avoid heavy traffic jam. Fosjoas V2 electric unicycle is not only a kind of transport, it is also the tool for entertainment, the bridge between the young to communicate and make friends. An increasing number of young riders choose it to make their lives colourful and full of youth.